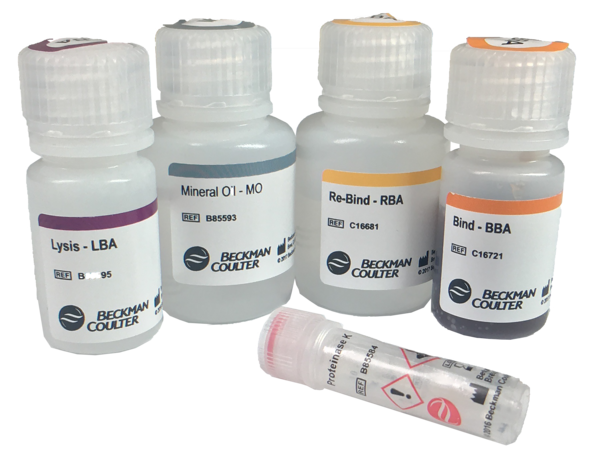 Agencourt RNAdvance Blood is an RNA isolation process built on Solid Phase Reversible Immobilization (SPRI) paramagnetic bead-based technology. 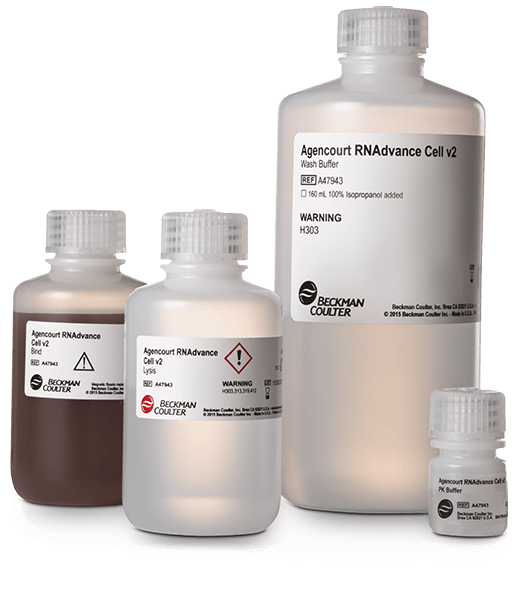 Agencourt RNAdvance Cell v2 kit is based on SPRI paramagnetic bead technology, known for its ability to consistently deliver pure nucleic acids of the highest quality and yield. 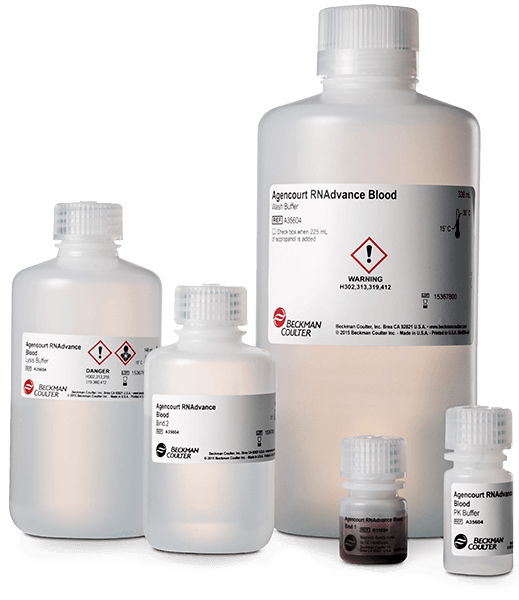 Agencourt FormaPure RNA provides a simple, automation-friendly process for extracting RNA from formalin-fixed, paraffin-embedded (FFPE) tissue samples. 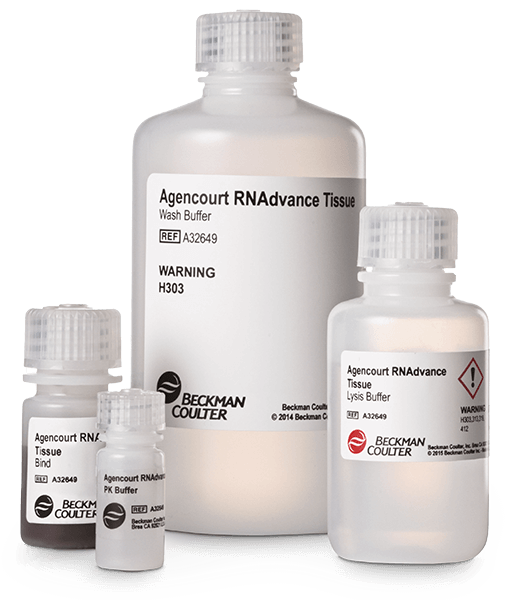 Agencourt RNAdvance Tissue uses SPRI paramagnetic bead-based technology to extract total RNA from a wide variety of tissues without the hazards and waste-removal issues of organic solvents.